The below guide covers; Rugs, Furniture Accessories, Vases, Photo / Audio / Video Technology, Kitchen Accessories, Drinkware, Table Top, Bedding, Tapestries, Bath Accessories, Vinyl, Stationary, Candles, Storage and Book Products. These guidelines are mandatory and must be followed. Any deviations from these instructions will result in a chargeback. All hard Homeware and Candles should be labelled with the small Price Sticker positioned on the base of the item. The Price Sticker MUST NOT cover any safety warnings. 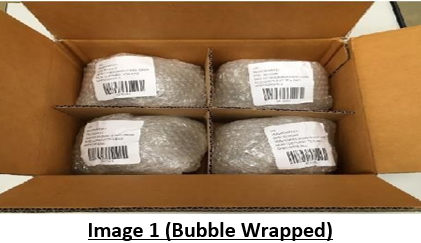 All items must then be individually Poly-Bagged, or Bubble Wrapped before being boxed. 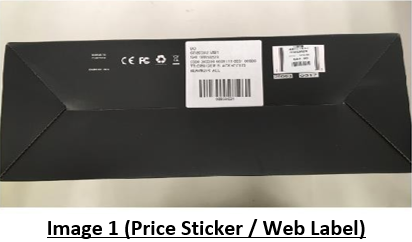 Single packed items: the large Web Label should be positioned on the outside of the box. It must not cover branding or safety warnings. 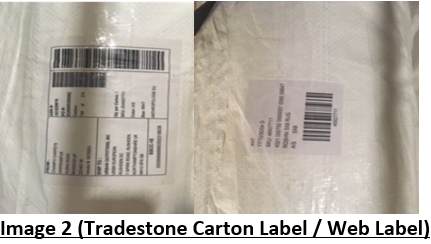 Multi packed items: the large Web Label should be attached to each item on the outside of the Poly-Bag or Bubble Wrap. The Web Label should also be positioned on the outside of the multi pack box. It must not cover any branding or safety warnings. 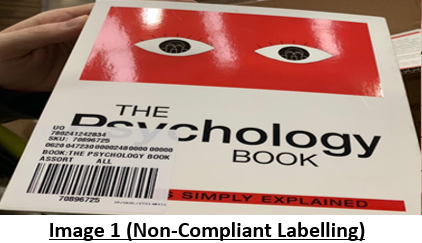 The small Price Sticker should be positioned on the reverse of the book, covering any existing barcodes. The small Price Sticker should be low tack and peel-able. All books must be Cellophane-Wrapped, or Poly-Bagged. 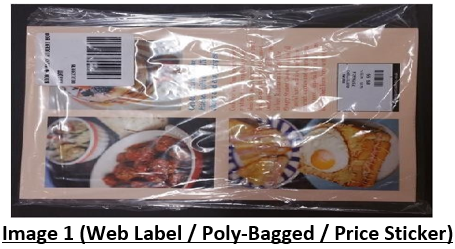 The Web Label should be positioned on the back side and on the Cellophane or Poly-Bag. DO NOT apply to the body of the book. All Cards to be Cellophane Wrapped. 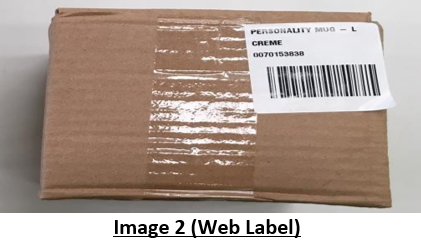 The small Price Label should be positioned on the Cellophane, on the back side and covering any existing barcodes. 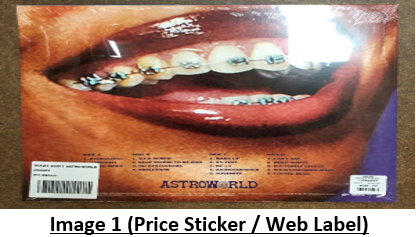 The Web Label should be positioned on the back side and on the Cellophane. 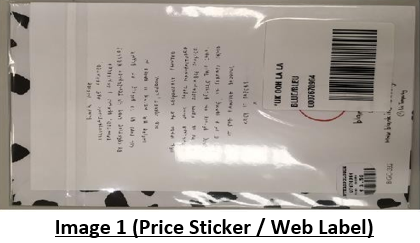 DO NOT apply the Price Sticker or Web Label to the body of the card. 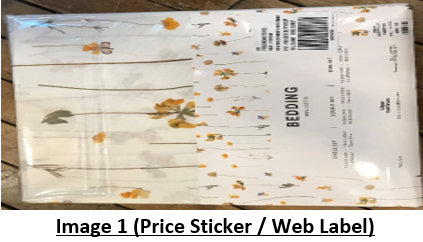 The small Price Sticker and Web Label should be positioned the reverse of the packaging. They must not cover any branding, instructions or safety warnings. The small Price Sticker should be applied to the Kimble. The rug should then be either rolled or folded (depending on material) and wrapped in a heavy-duty Poly-Bag. 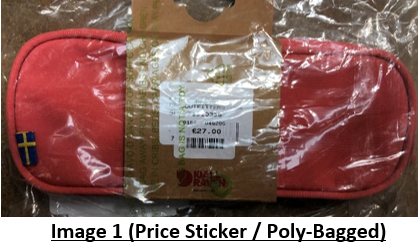 The Poly-Bag should then have a Tradestone Carton Label and a Web Label attached to the outside. The small Price Sticker should be positioned the reverse of the packaging. They must not cover any branding, instructions or safety warnings. The product must be then placed in a Poly-Bag and the Web Label then attached on the front of the bag. 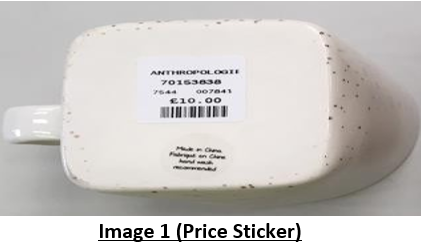 – The small Price Sticker should be positioned on the reverse of the item, covering any existing barcodes. The small Price Sticker should be low tack and peel-able and MUST NOT cover any safety warnings. – Small items must be Poly-Bagged. 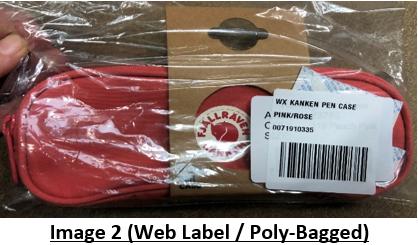 – The Web Label should be positioned on the back side and on the Poly-Bag. DO NOT apply to the body of the item. 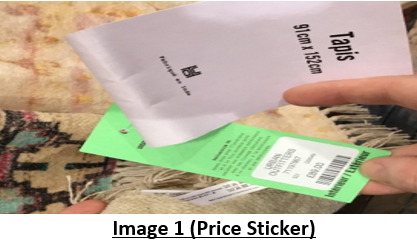 – The small Price Sticker should be positioned the reverse of the item, covering any existing barcodes. The small Price Sticker should be low tack and peel-able. 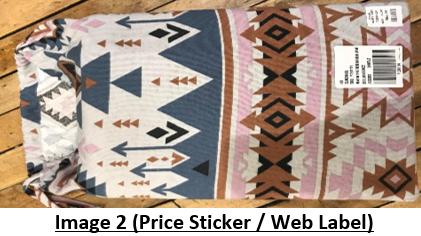 – The Web Label should be placed next to the small Price Sticker. 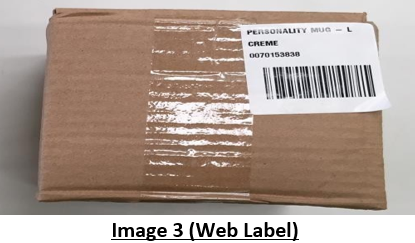 If the items are individually boxed, then the Web Label should be placed on the outside of the box rather than on the unit inside of the box. The small Price Sticker should be positioned the reverse of the packaging. They must not cover any branding, instructions or safety warnings. The product must be then placed in a Poly-Bag / Shrink Wrap and the Web Label then attached on the reverse of the Vinyl. 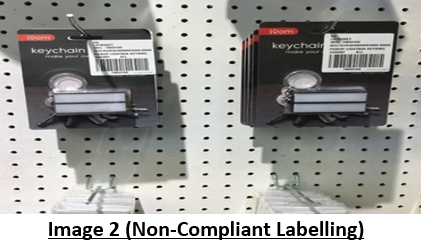 The below photographs show examples non-compliant labelling. Under no circumstances should product arrive to URBN UK LTD in this manner. It damages the product integrity and is deemed as defaced. 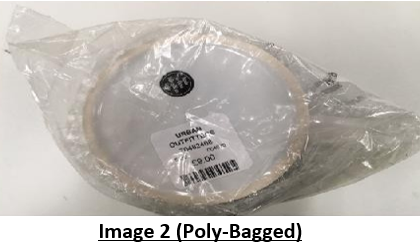 If products arrive in this condition, we will issue a chargeback for non-compliance.